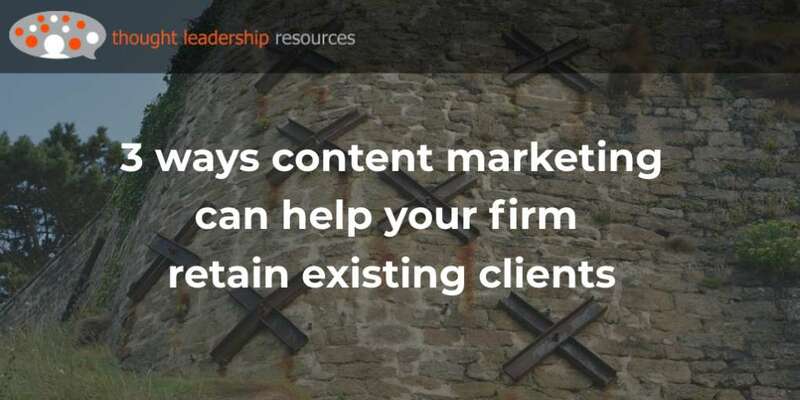 If you ask many professional firm marketers the purpose of their firm’s content marketing program, they may come back with vague ideas like “to position our firm’s members as thought leaders,” or “To build awareness.” That’s easy to say, but hard to do, and harder yet to verify whether or not it’s working. 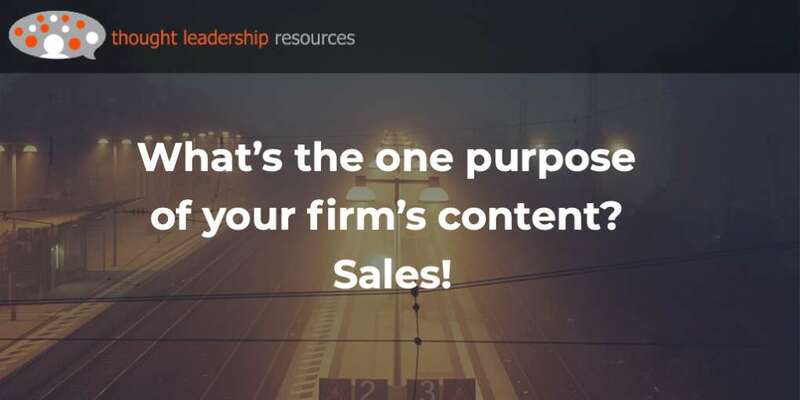 Your firm’s content should have just one purpose, and that’s to support the sales process of the firm. If it doesn’t do that, don’t prepare that piece of content. Do something that does directly support the sales process. 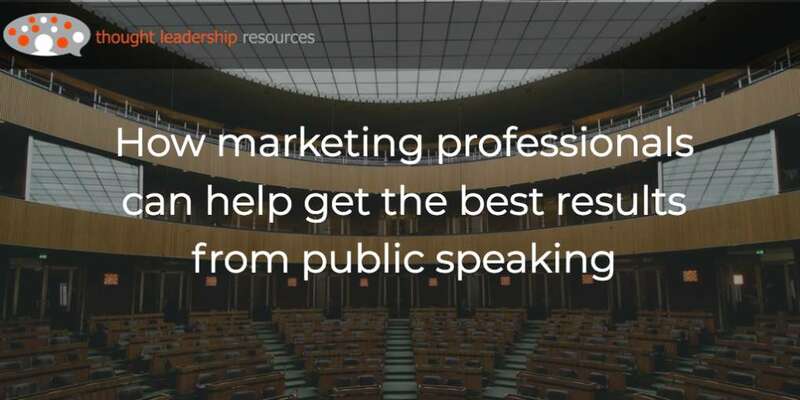 That’s because the purpose of the marketing program is to help the people who engage with clients and prospects, so that they get into the right meetings. 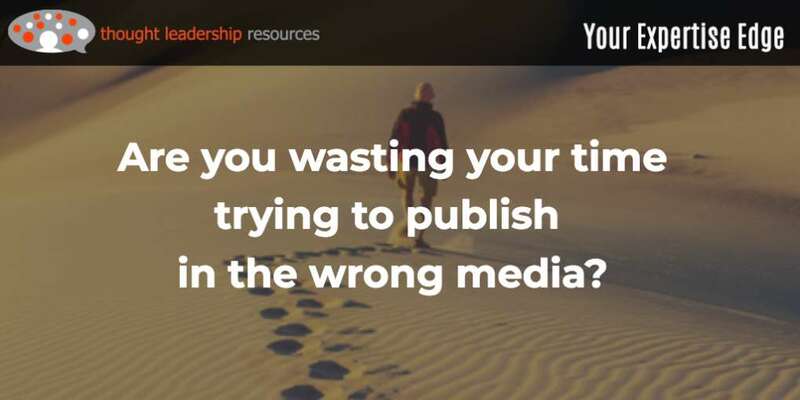 It’s not to maintain a newsletter, keep a Twitter feed going, produce a brochure, run the website, or any of the other tasks that seem to develop. Those are tools, not results. Their purpose is to help build new and continuing work, leading to revenue, for the firm. As an analogy, imagine that you’re planning a week-long backpacking trip. You’ll need a tent, sleeping bag, clothing, food and a few other items like a flashlight and a water filtration pump. If you’re an experienced back-country hiker, you won’t be taking along anything you won’t need – like a pillow (instead, use a rolled-up coat) or books (you can carry a whole library on your e-reader). One reason you pack light is that you have to carry everything over every rock on the trail, for a week. What are the problems and opportunities facing your firm’s market? 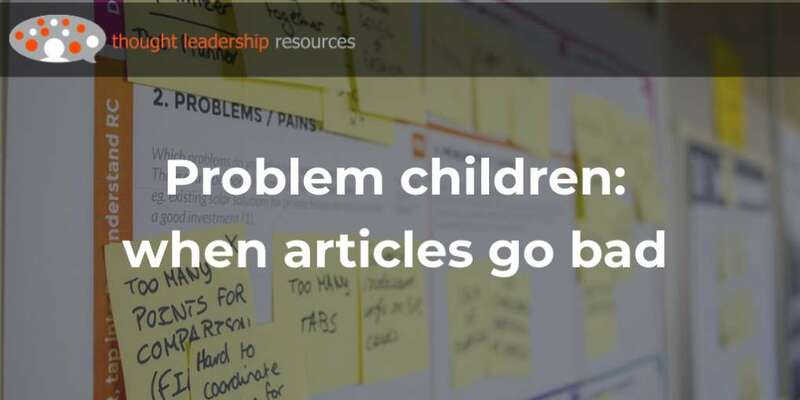 The content you produce must address the real issues your firm’s prospects and clients are facing. In other words, their pain points and their opportunities. So, think of what that could be. Maybe there’s a new environmental regulation that will force your firm’s clients to invest in new technologies – and your firm can help with that. Maybe there’s been a change in the building code that will require new measures be taken around stormwater management. From my experience, the mid-career professionals may be not as good at isolating the problems that their clients are facing. Mid-career people are justifiably concerned mostly about technical excellence – following the right workflow. 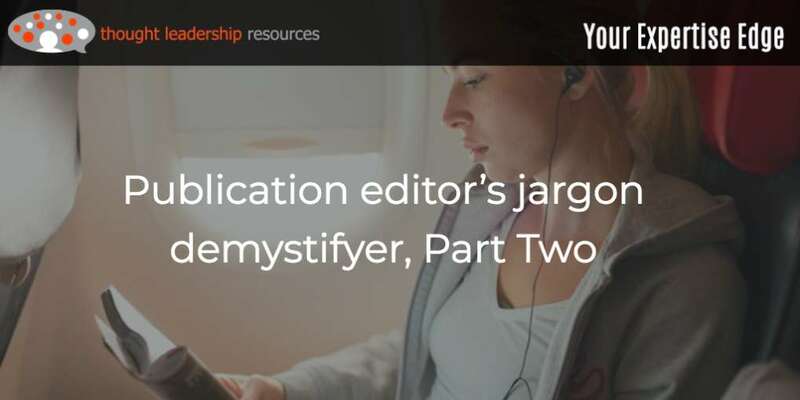 They haven’t necessarily started thinking about the “why” involved – as in, why the client is asking them to do this kind of work. 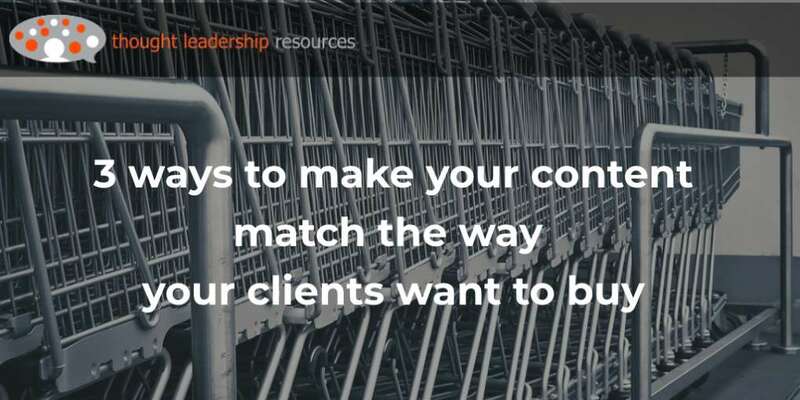 Generally, your client isn’t particularly interested in the work itself; they’re concerned about making a problem disappear. For example, many of my clients work in environmental compliance – they help their clients meet regulations. The client’s concern is around getting an “approved” stamp on their project application. So, they may want to know about how to do that, and your firm’s senior people are most able to answer those questions. 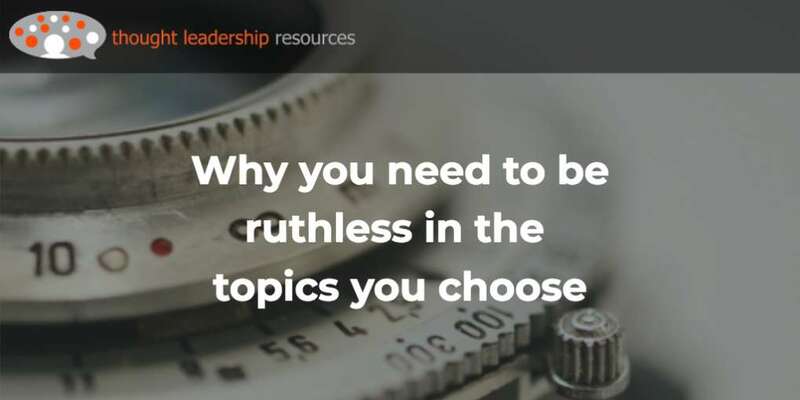 Look through their business and trade media to see what topics seem to be trending – their magazines, association websites, blogs and LinkedIn groups. Check the speaker lineups at their conferences and industry luncheons. 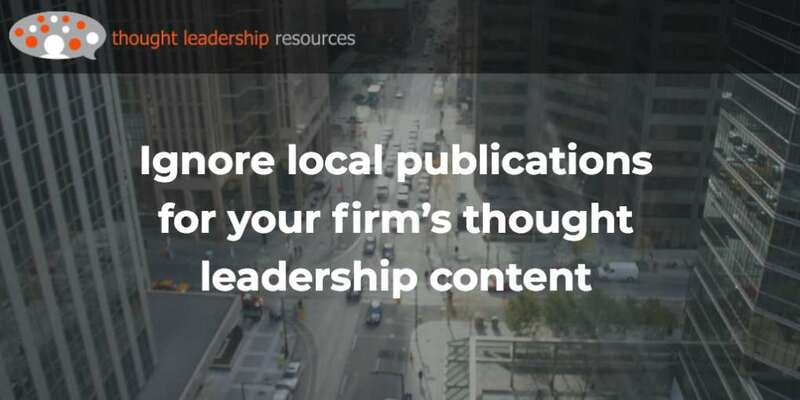 In short: be sure that your firm’s content addresses real, current issues and concerns. Which formats would the prospective client prefer? 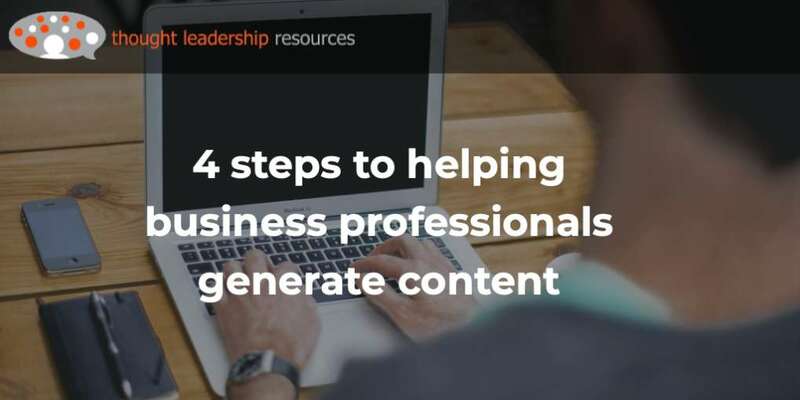 There are many possible formats for your firm’s content – a slide show, a video, a newsletter, an article in their professional website or trade magazine, a white paper or an info-graphic. It could be in some physical form like a book, printout, or USB key, or electronic. 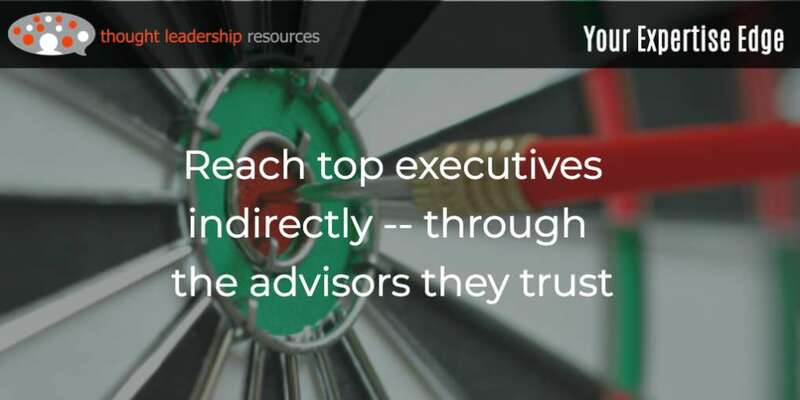 Again, you should ask your firm’s client-facing professionals what works best for them. 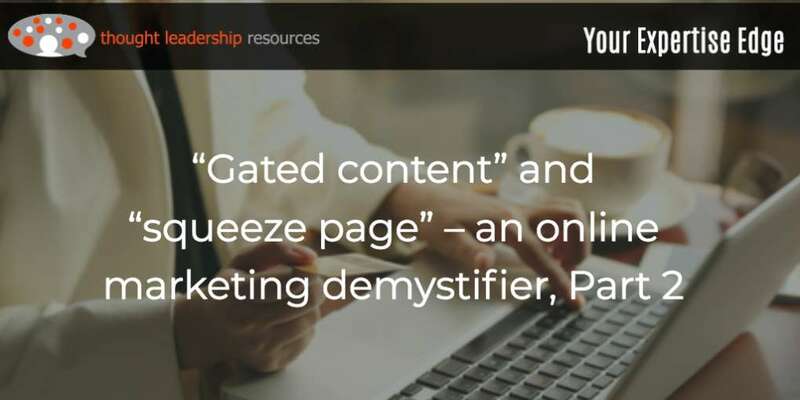 Early in the sales cycle, electronic content might be best, as prospective clients are at the information-gathering stage. Later, it perhaps should be in physical form, for use in a face-to-face meeting to seal the deal. 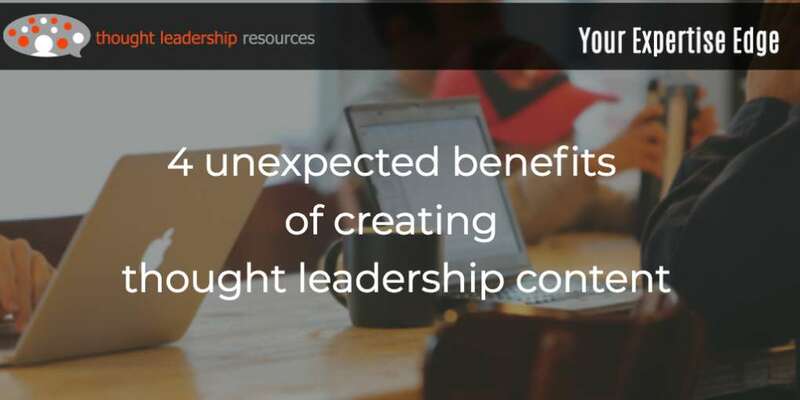 How can you get your firm’s content in front of decision-makers? 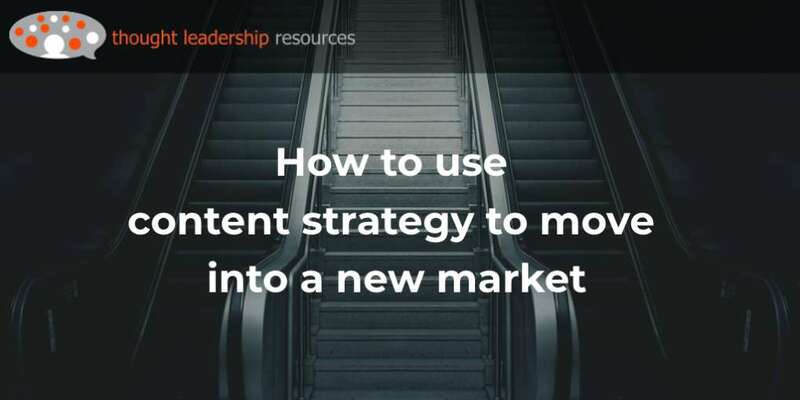 Having good content in the right format is part of the puzzle -- but it’s not the whole puzzle unless you’re able to get your firm’s relevant, appropriate content in front of the right eyeballs. That means choosing appropriate delivery methods. 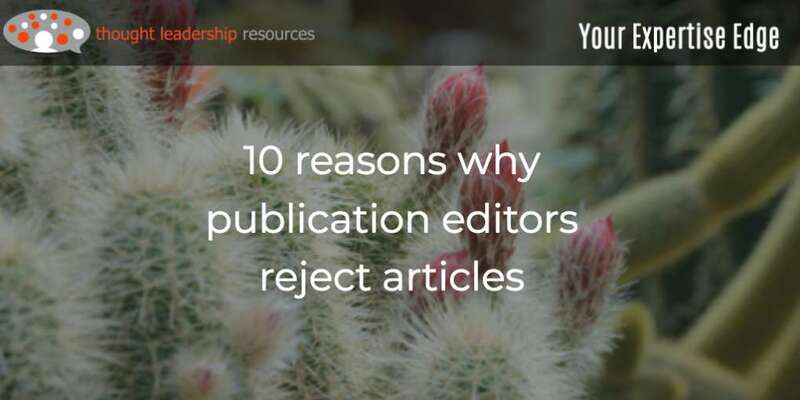 In some cases, that might mean getting the content into media already relied upon and trusted by prospects and clients. In others, it might mean putting into a format that can be e-mailed to people your firm wants to reach. 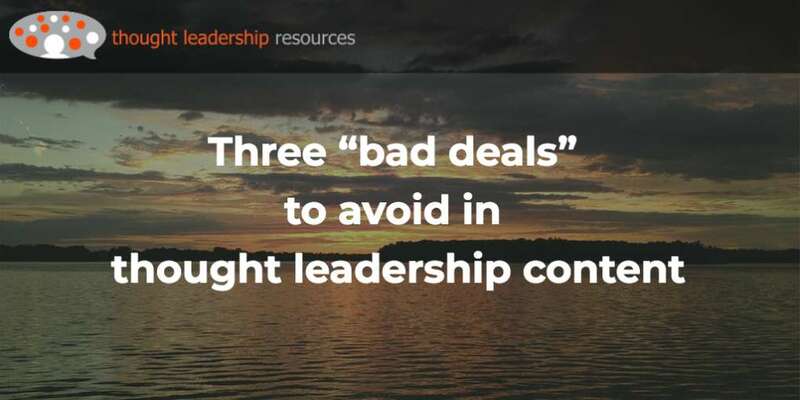 In others, it should be in a slide deck that your firm’ BD people can bring up on their tablets and show in a face-to-face meeting with a client. To understand this, you need to know the actual sales process followed by the people who meet with clients. The best way to do this is to ask them what they find most appropriate. 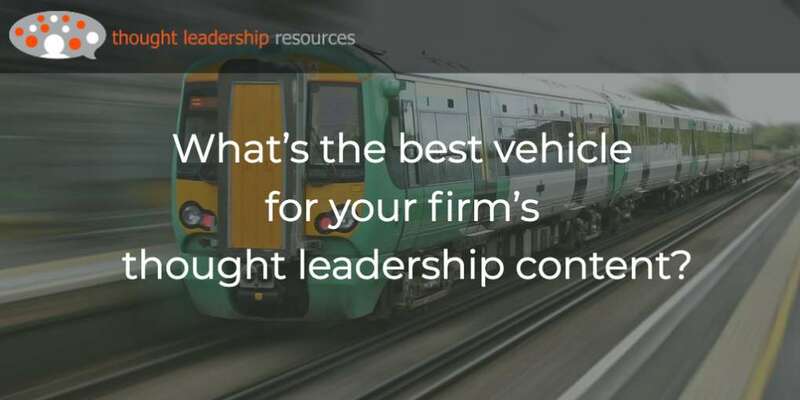 What procedures can you put in place to make sure that your firm’s content meets the needs of the sales process? 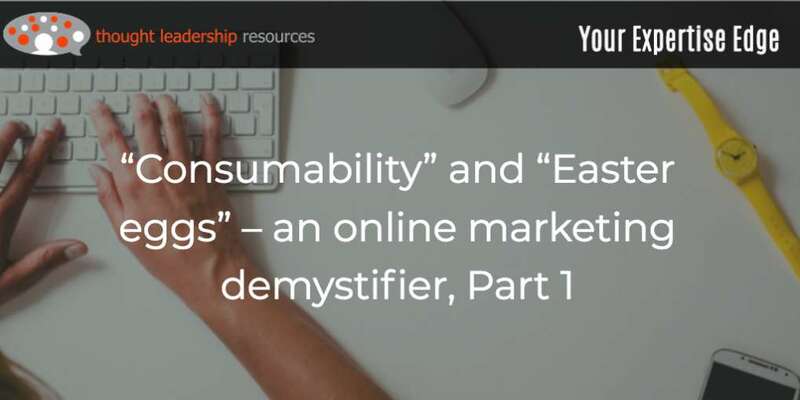 How can you be sure that the formats you use for content are appropriate to the needs of the sales process?